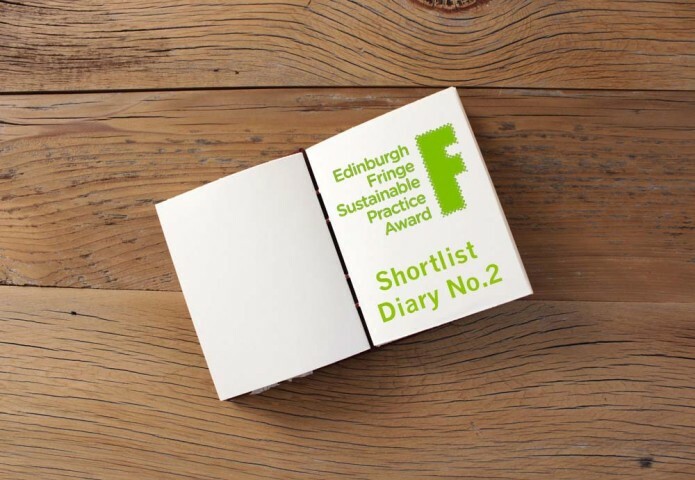 It has been another busy week for our reviewing team who have managed to fit in 8 shows from the Fringe Sustainable Practice Award shortlist. 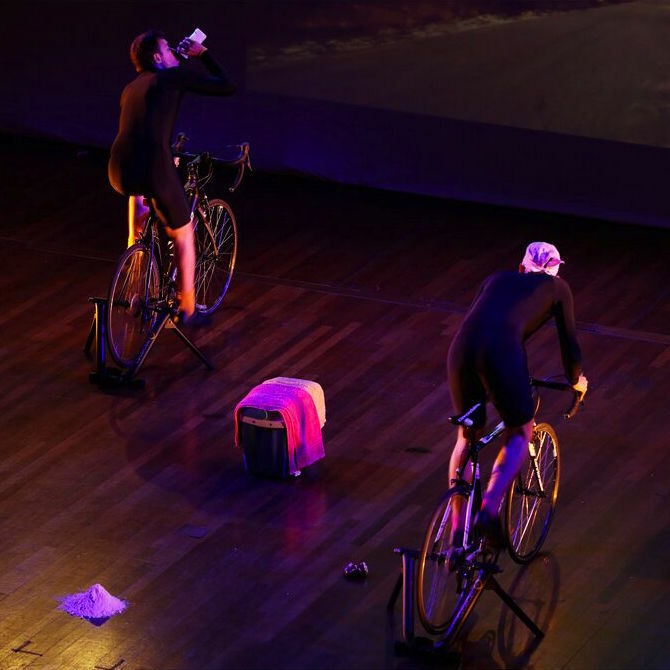 From a secret theater location accessed by bike, to a Dutch photography exhibition we have covered it all. 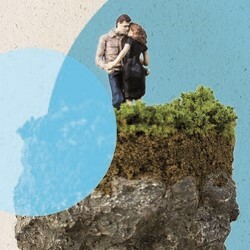 For more information on the 21 shortlisted Fringe shows, click here. In the heart of the Fringe with all the shows from the four corners of the world it’s good to see a show that comes out of and has connections with Edinburgh (or rather Leith). The performance brings together first-hand accounts, some hilarious and some regretful, of some of the remaining men who embarked on whale hunting expeditions. These stories are performed in both word and song. A Cinema in South Georgia is about the – ultimately unsustainable – whaling industry and the human consequences of it, not to mention the effect on the whales! 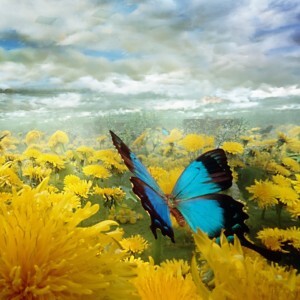 The artist collective, the ‘Tropists’, captured the natural world (mainly plants) with a variety of photographic techniques, forcing the viewer to reconsider their previous conceptions of what ‘nature’ is. Using a variety of techniques, from x-ray shots to pinhole techniques, the exhibition is not an obvious case of ‘this is what mankind is doing to nature’ but rather shows the beauty of nature from different angles not usually experienced through the human eye. In addition to the various camera techniques the exhibition uses film to bridge the gap between science and public perceptions of what is a plant. The Wild Man of Orford was able to transform a small room into the seaside. This production explores the concept of civilization and how it can feel to be the “other”. The Wild Man of Orford is a charming fairy tale with live music that both children and adults can enjoy. 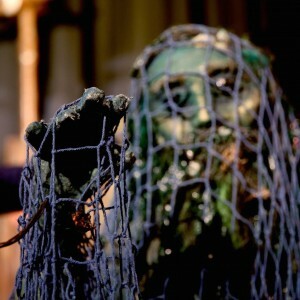 Their sustainable efforts should be praised for their use of recycled material for their costumes and set pieces as well as environmentally friendly marketing that reduces paper use by promoting their show online with links written on branches, stones, and shells that audience members can keep. A green and blue take on a heightened severity of meaning in this fast-paced and familial drama. Two warring households – both alike in their football passion – provide the environment for a sensitively-executed examination of sectarianism, domestic violence and polite society. Scarfed for Life is lively and loud, and speckled with Scots and slang. 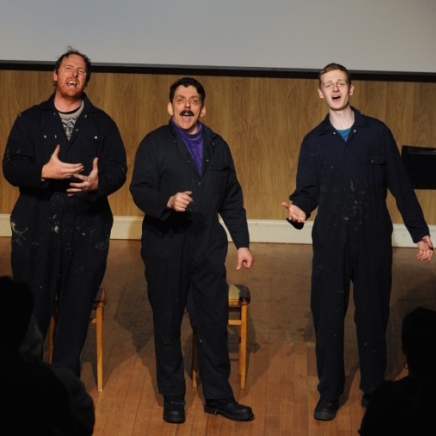 The performance was communicated very well, with humour and sensitivity. The Citizens Theatre bring a snapshot of their Glasgow to the capital with sustainable design elements that enable, rather than detract from, their story. Never before have I watched two men hop on and off bikes for an hour in the name of theatre. Ventoux tells the story of two famous cyclists; as these men climb further up the Ventoux you learn more about the history of doping, and the pressure put on cyclists at a time when ‘everyone was doing it’, finally seeing the full consequences of it all as they approached the summit. The use of props was mesmerizing at points, as the men cycled in tandem, dunked their heads in a cool box of water and ‘shaved’ their legs and heads. Similarly, the Ventoux footage, filmed by the performers themselves, brought the audience right into the action as we were propelled through their lives listening to real-time soundtracks of vital racing events. 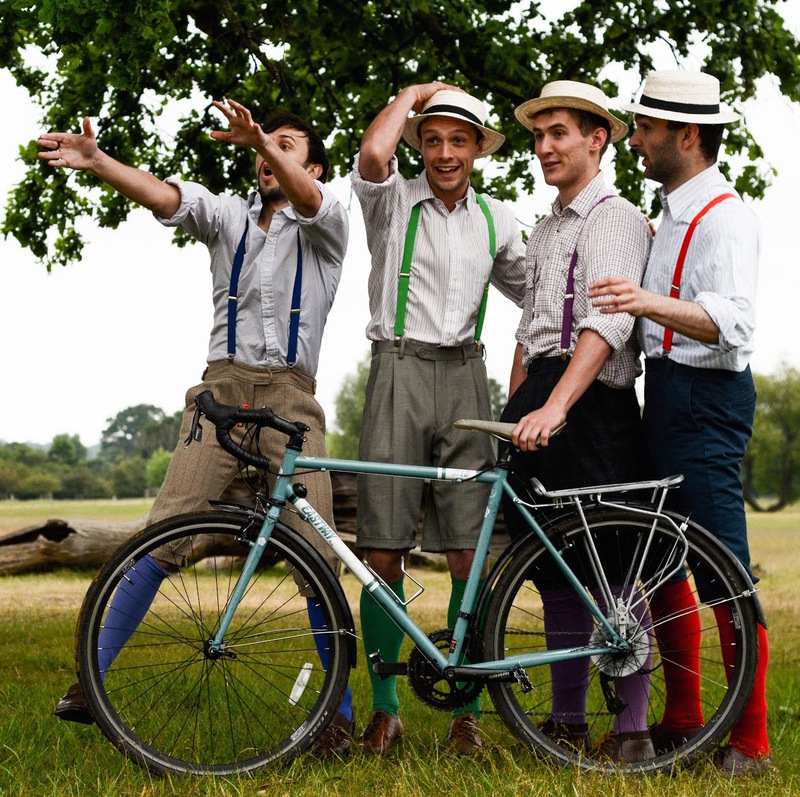 The Handlebards return to the Edinburgh Festival Fringe with an expanded offering from their 2014 run, and a challenge to engage their audiences in their bike-behaviour. Secret Shakespeare is an unusual approach to an Edinburgh Festival Fringe production that actively promotes and engages with sustainability. Having travelled around the country by bike, the players paired up with Sustrans and Spokes Edinburgh to take their audience on a 5-mile tour of Edinburgh’s cycle paths, en-route to their secret performance location. A high-energy performance that leaves one asking: “How are they going to manage that?!”. 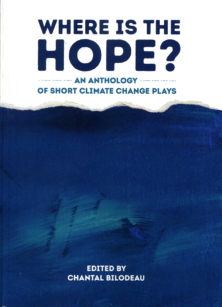 This charming piece of children’s theatre brought the threat of chalara, otherwise known as ash dieback disease, to life in a very accessible and moving way. 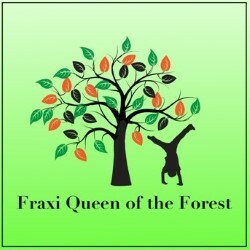 The story follows Fraxi, an ash tree, and Woody, a man who has known and loved Fraxi since childhood. When Fraxi becomes infected with chalara, Woody must decide how best to help her and the rest of the trees in the forest. Incredible costumes, a fun caterpillar sidekick and snippets of information about forest ecosystems and their environmental and social significance make this show a great way of encouraging children to care about nature. Lungs openly addresses sustainability, looking at it from the perspective of two adults having a “conversation” over whether or not to bring a child into this world. They consider both the carbon impact of a child, comparing the weight in carbon to the weight of the Eiffel Tower, and the question of whether they should want to bring a child into the world when it is such a mess. The story brings you face to face with the reality of many unspoken truths. The two actors were fully exposed to the audience in the center of the Roundabout theatre, which, for such an intimate and emotionally intense performance, worked perfectly. The story is heartwarming, saddening, funny and very current, and if performed by two very talented actors. 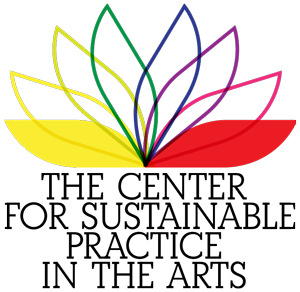 For details on the Fringe Sustainable Practice Awards Ceremony on 28 August, check out are event page here. If you are interested in sustainability in the Fringe, the Fringe Swap Shop (formerly known as the Reuse & Recycle Days) occurs each year at the end of August and is a great opportunity for companies, individuals, and those that have participated in the Fringe to dispose of any unwanted props, sets and costumes. We’d also like to encourage anyone, fringe participant or not, to come along to pickup and re-use the dropped off materials – it’s a swap shop after all! 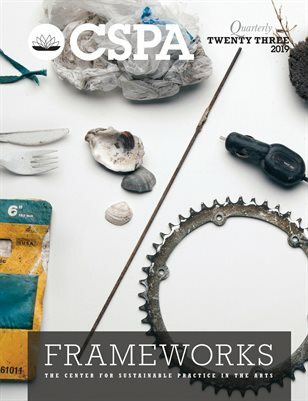 The post #GreenFest: FSPA Shortlist Diary No.2 appeared first on Creative Carbon Scotland.